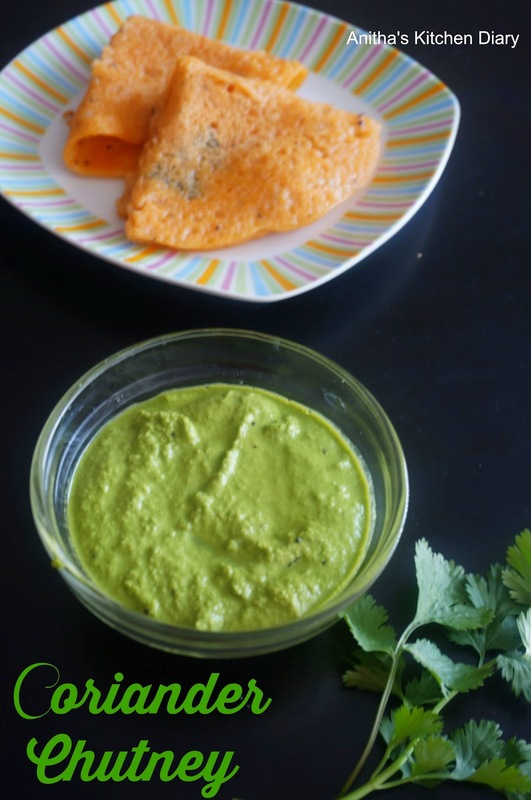 The coriander chutney is another form of coconut chutney. I usually do this chutney when we bought more coriander leaves munch.This chutney goes very well Idly or Dosa.This is my 200th post,thought of sharing sweet recipe but the temperature here too cold. It making me sleepy and not interested to do cooking. Surely ill post sweet recipe in my next post. Grind the coconut along with chilli,pottukdalai,ginger, salt and some amount of water in a blender to a smooth paste. Finally add the coriander leaves and grind it well. Heat oil in a pan , add mustard seeds once splutter add urad dal and fry a minute and then add curry leaves.Pour the tempering into the chutney. 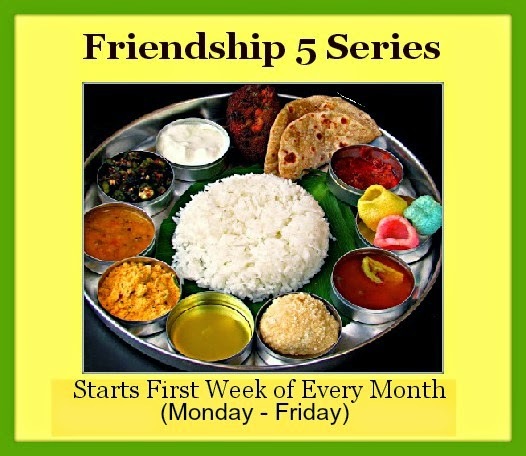 Linking this recipe to Friendship 5 series started by Geetha and Savitha .